On the Brda and Vistula Rivers in northern Poland, Bydgoszcz is a place whose fortunes have been shaped by water. When the Bydgoszcz Canal opened in the 1770s it put the city on a Europe-wide network of waterways extending west all the way to Rotterdam. 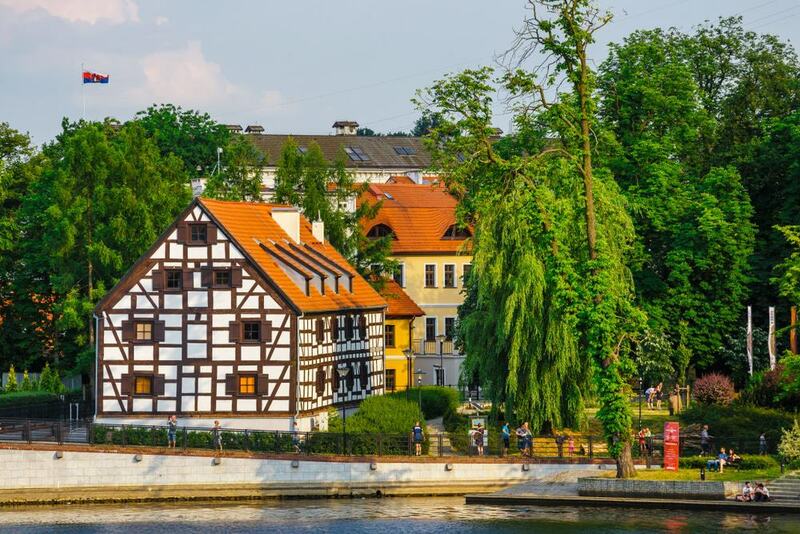 The most picturesque spot in Bydgoszcz is Mill Island at a fork in the Brda, where little bridges cross the river and historic factories are skirted by spacious lawns for picnics in summer. A sight often associated with the city are the half-timbered granaries on the Brda River, saved as a monument to Bydgoszcz’s inland shipping heritage. And thanks to the variety of museums for topics as diverse as explosives, soap and water it’s impossible to get bored in Bydgoszcz. 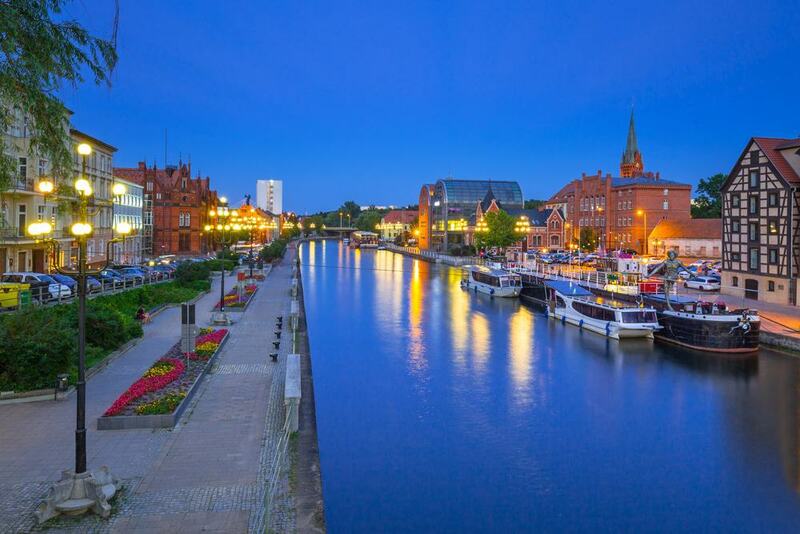 As you might guess from the name, this island by the Old Town was Bydgoszcz’s hive of industry from Medieval times. The few mill buildings standing here now are from the 1800s, and they’ve been spruced up and turned into attractions. Beside them are wide open green spaces bordering the peaceful loop in the Brda, which has clear water and waterfowl on its banks. You can rent a rowboat, potter around the quaint specialty shops or sip a cold beer outside on a summer’s day. There are a handful of museums on the island, the pick of which is for modern art in a repurposed factory building. And across the water to the north are the humungous cylinders of the Opera Nova, which opened in 2006 after almost two decades of construction. Often ranked among the top minor museums in the country, the Museum of Soap and Dirt opened in a tenement house on the north side of Ulica Długa in 2012. Inside there’s a timeline of hygiene, with artefacts like cast-iron bathtubs from the 19th century, utensils for washing and bathing, vintage detergents ads, washing machines, dryers, soaps from all over the world and a replica of a Medieval bathhouse. This is complemented by well sourced information about how people cleaned themselves down the years and interactive exhibits you can touch and smell. The museum is also a living attraction, with a lab where you can create your own soap to take home with you, picking your own formula and scents. 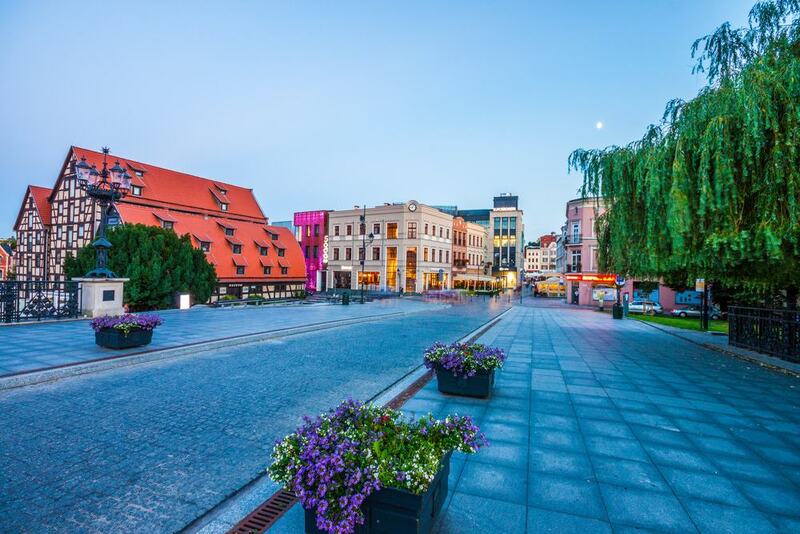 This plaza is exactly where King Casimir III the Great founded Bydgoszcz in 1346 and is still a pillar of social life in the city, hosting concerts and public gatherings and fringed by outdoor seating for bars and restaurants. An unsettling event took place here at the start of the Second World War, when Bydgoszcz ‘s German residents and Poles were caught up in fighting. The brutal resulted was the execution of 50 Polish citizens on the north side of the square, which was marked with a monument in 1969. The tenement houses around the square are generally from the 18th and 19th centuries and between the dining establishments are some family-run shops selling antiques and handicrafts. Along the west side of the square, the Town Hall is a Baroque wonder built from 1644 to 1653. And what’s unusual about it is that this was never intended as a town hall, as for its first 130 years it was a Jesuit College. Not only was the college the largest building in Bydgoszcz, it was also its first place of higher learning, turning the city into a cultural and educational capital for the region. The college shut down when the monasteries were dissolved in 1780, and after that it became a school before being chosen for the town hall in 1878, at a time when Bydgoszcz was booming. For nearly forty years after its unveiling in 1904, this fountain depicting the Genesis flood narrative in the bible was one of the prides of the city. 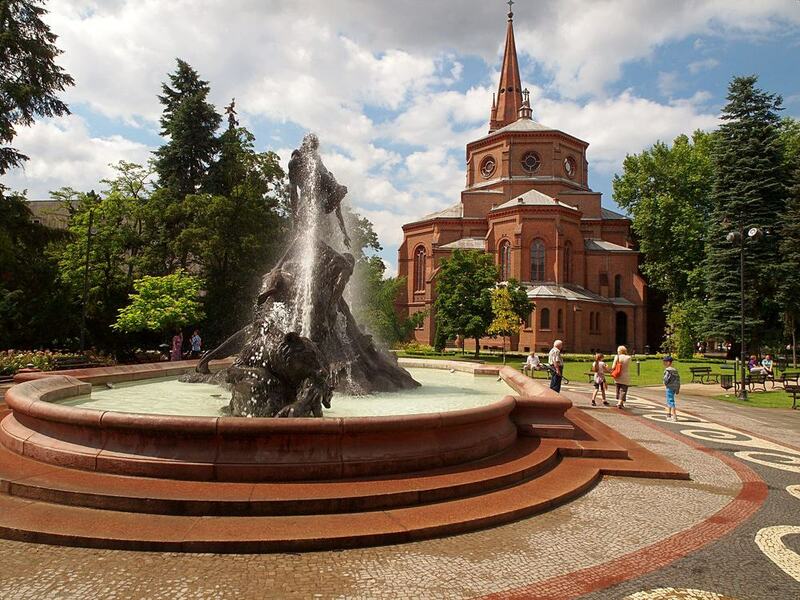 But in 1943 its bronze sculptures were confiscated and melted down for the German war effort, and it wouldn’t be until 2004 that Bydgoszcz could think about a restoration. That process took ten years, and this vital piece of the city’s heritage was officially unveiled in 2014, 110 years after the original. The story of the reconstruction is interesting, as there was a replica in the designer’s hometown, Coburg in Bavaria, which was used as a model. The various sculptures, including a bear, man holding a supine woman and man fighting a snake were recast and placed back on the sandstone basin one by one starting in 2009. 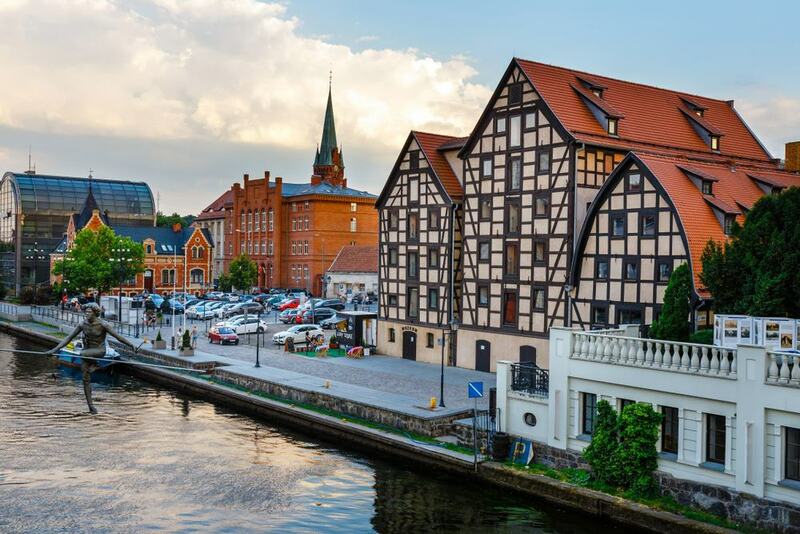 If you need an image than encapsulates Bydgoszcz, it’s the row of late-18th-century half-timbered granaries on the Brda River. And although that might not seem like much, they’ll tell you a lot about Bydgoszcz position in the world. The city was at the crossroads of two trade routes from Greater Poland in the south to Pomerania in the north, and from Krajna in the west to Mazovia in the east. But then when the Bydgoszcz Canal joined the Vistula River to the Oder in the 1770s, Bydgoszcz was firmly on Europe’s trading map. So like the historic warehouses in Lübeck and Hamburg they recall the city’s trading history and together with grain, stored goods as varied as ceramics, wine, beer, timber, spices and sugar. 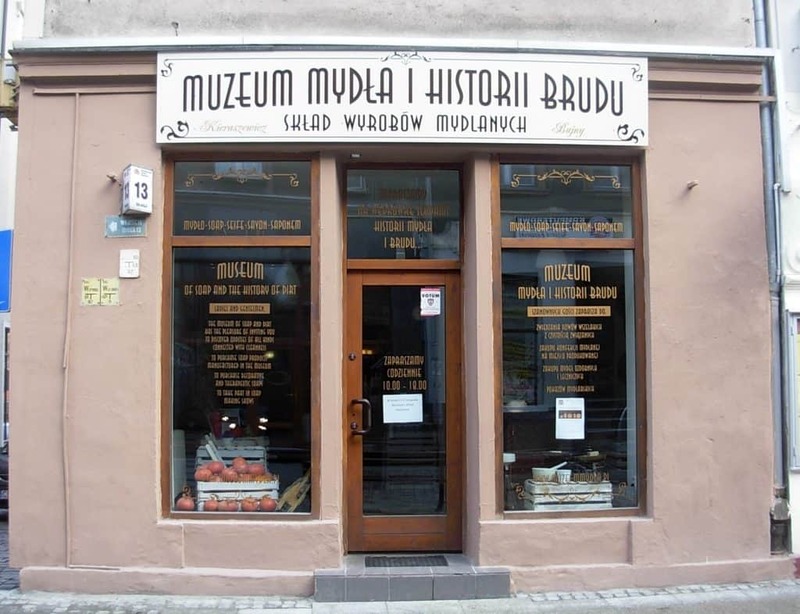 Go in for a historical museum about Bydgoszcz, renovated in 2006 with lots of multimedia. 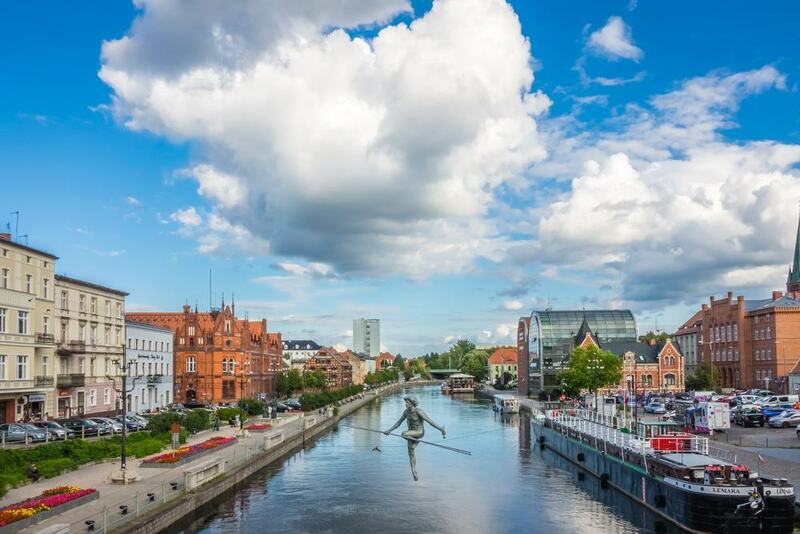 The city owes a lot of its growth in the 19th century to this canal linking the Vistula and Oder Rivers via their tributaries, the Brda, Warta and Notec. In that time Bydgoszcz became a nexus point for inland shipping between Eastern and Central Europe. The Old Canal was dug in the mid-1770s and runs right through the middle of Bydgoszcz. This waterway was no longer a shipping lane after it was bypassed by the New Canal at the start of the 20th century. But it quickly became a place for relaxation, partly embedded in a park. Following a few decades of deterioration after the war, the grassy banks have been revived for walks and bike rides by the water. There are also five historic locks that have recently been restored, and some beautiful architecture beside the towpath. 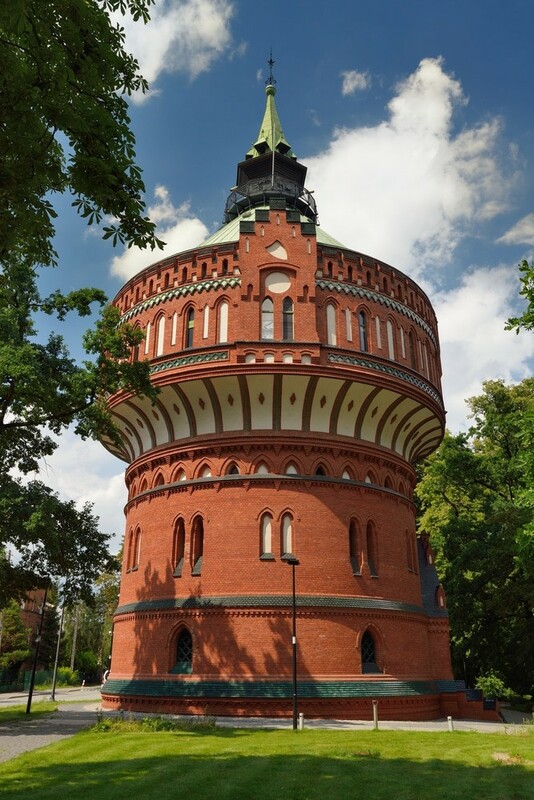 In a park in the Szwederowo district is a bold Neo-Gothic water tower completed in 1900 as part of the Municipal Waterworks complex. 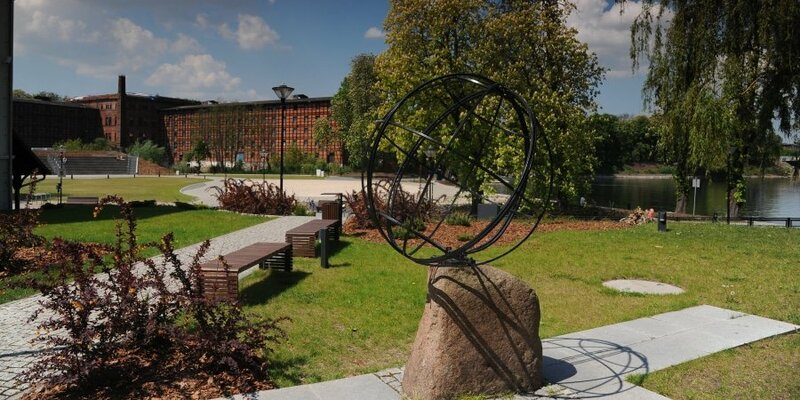 It is now a monument on a trail through Bydgoszcz, which has educational attractions about the city’s turn-of-the-century water supply network. The tower’s museum opened in 2012 and examines the water cycle, as well as historic wooden water pipes, archival photos and vintage bathroom and toilet fittings. There’s also an observation platform at the top of the tower, in a privileged location on a slope about 60 metres higher than the Old Town. By the Town Hall and Old Market Square, the cathedral goes back to 1346, the year that Bydgoszcz became a city. The first building burned down in the middle of the 15th century and this Brick Gothic edifice went up in its place in 1502. At the entrance are Renaissance doors carved in the 17th century and bearing the city’s coats of arms and the initials of city guilds and townsmen. 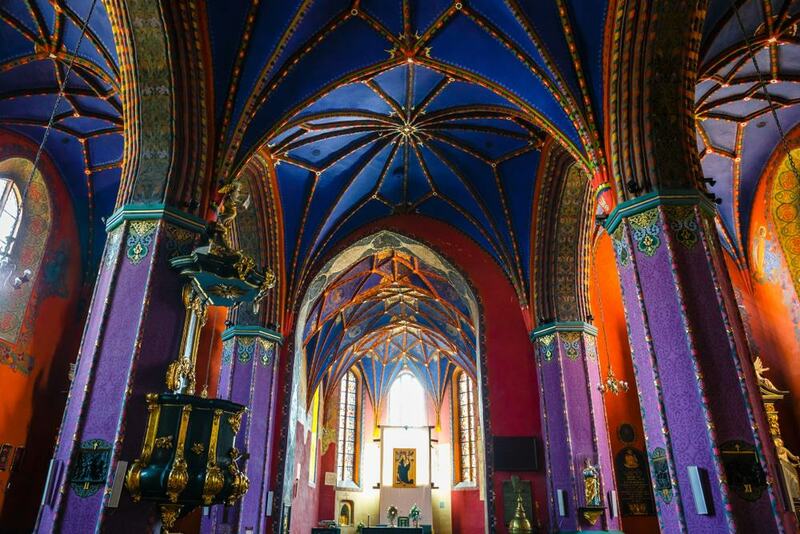 And when you enter you may be bowled over by the symphony of colour on the walls and in the vaults, all painted in intricate patterns in the early 1920s by Henryk Nostitz-Jackowski. The thing that most people come to see though is the Baroque high altar, in which a pediment and golden columns surround a venerated Late Gothic painting of the Madonna and Child from the 15th-century. On the edge of the city in the Bydgoszcz Industrial Park is a complex with a sinister past. Built at the start of the Second World War, this was an explosives factory manufacturing smokeless powder, TNT and nitroglycerin for the Wehrmacht. The workforce was made up of 40,000 forced labourers who were kept in unimaginable conditions. The facilities, connected by underground tunnels, were restored and opened as a museum about explosives in 2011. Because of the subject matter, this isn’t an attraction for younger kids. 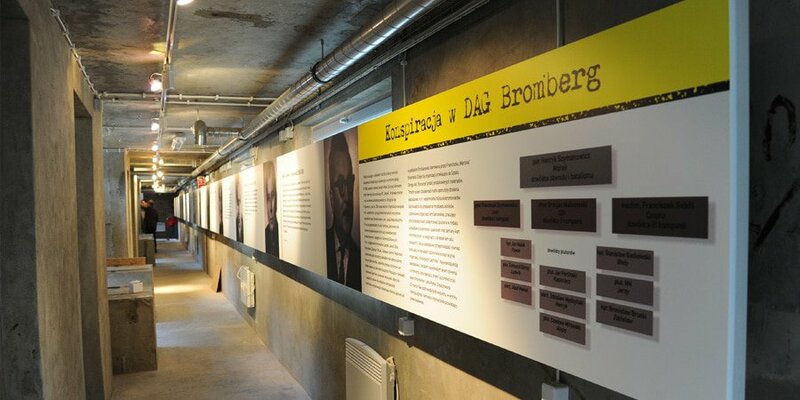 But in the former factories you can catch up on topics like Nobel’s invention of TNT and the development of gunpowder. There are also exhibits about Polish forced labourers and some of their efforts at sabotage in the Second World War. 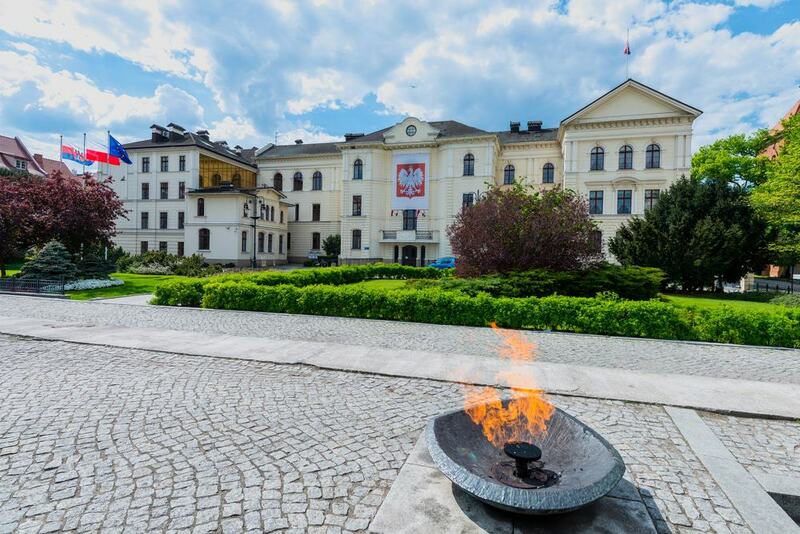 Bydgoszcz is a city with historic military associations, and this museum charts the history of the army in Pomerania and Kuyavia, from the Greater Polish Uprising of 1918-1919)to the present day. The exhibitions go into depth on topics like that uprising, which brought an end to German rule following the First World War. 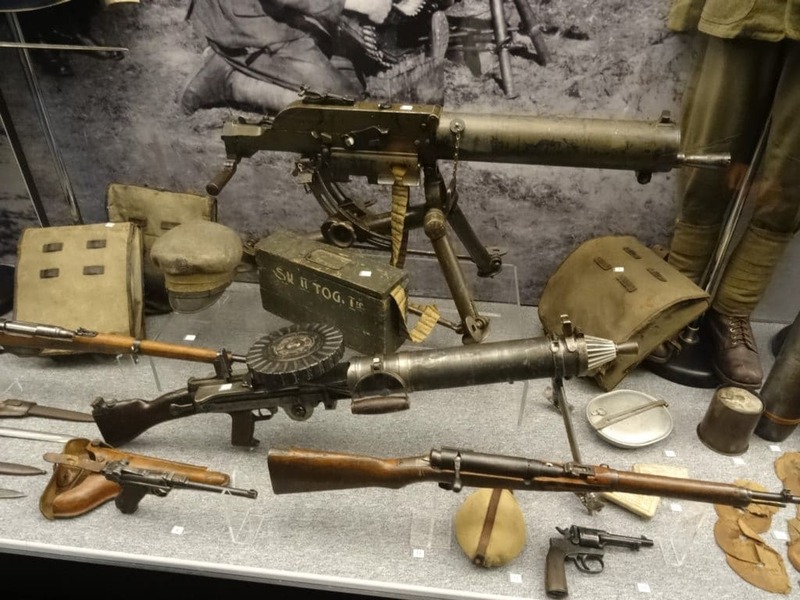 You can also see equipment from the garrison that was stationed in Bydgoszcz in the interwar years, learn about the Polish army’s involvement in the USSR in the last years of the Second World War and Polish Resistance against the German occupiers. The showcases are full of uniforms, small arms, medals and ceremonial swords, while out in the courtyard are anti-aircraft and anti-tank guns, mortars and a French heavy field gun captured in Liege by the Prussians in 1870. Five kilometres north of the centre of Bydgoszcz is the largest urban park in Poland, encompassing 830 hectares. Most of this elevated landscape is cloaked in beech, birch and oak woodland punctuated with ponds and lakes. On the south-facing slope you can look back to see Bydgoszcz’s landmarks. Residents come for bike rides and walks from spring to autumn, and then there’s cross-country and downhill skiing in winter. 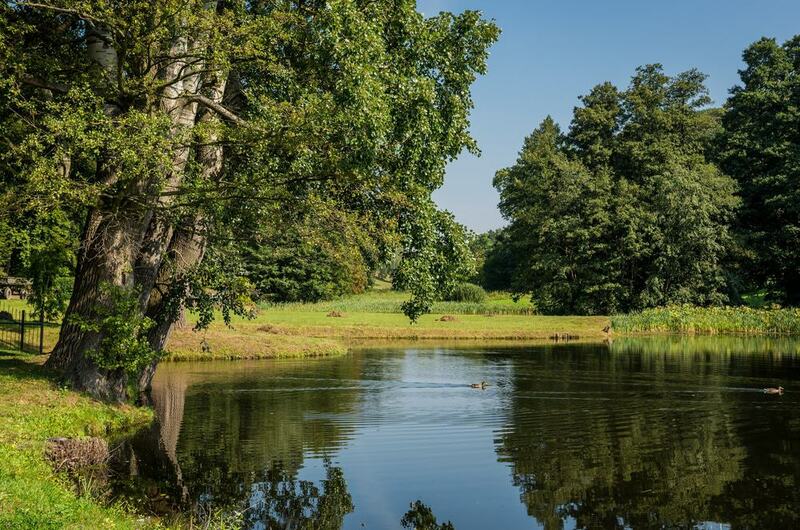 In summer Myślęcinek also has visitor attractions like a small amusement park for young children, a ropes course, educational trails, a botanical garden and a stud farm with horses in paddocks and. There’s also a “Lost World”, with 40 realistic figures of dinosaurs including 27-metre-high sauropod, as well as a zoo with Polish species like bison, brown bears, wolves and lynxes. Suspended by a single cable over the Brda River is a diverting piece of sculpture celebrating Poland’s entry into the European Union in 2004. The work, depicting a tightrope walker, seems to defy the rules of gravity as it appears to balance on the cable. Take a closer look, and you’ll see where the cable is hooked between his left foot and thigh. The swallow beside him is a piece of symbolism in memory of the founder of the Pomeranian Philharmonic who was named Andrzej Szwalbe, similar to the German word for swallow, “Schwalbe”. There’s something neat about being able to stand on a straight line that connects Bydgoszcz with Stockholm, Dubrovnik and Cape Town. The 18th Meridian East, 18° cuts right through the middle of the city, and you can use the GPS on your phone to track down little monuments for the line. There’s a plaque on the wall of the Ratuszowy Hotel at Ulica Długa 37, and small monuments on the Market Square, Ulica Wileńska, Ulica Sienkiewicza and Ulica Marszałka Focha. What’s peculiar is that the biggest monuments aren’t actually on the line itself: There’s an armillary sphere on a plinth by the White Granary on Mill Island, as well as an obelisk with a globe and depiction of a ship at Municipal Lock No. 2. In a city threaded with waterways boats are both ideal for sightseeing and a convenient way of getting around. The solar-powered Water Tram has a regular schedule every day from May to September and boats sets off in three directions from the quay at Rybi Rynek, close to the Old Town Square. 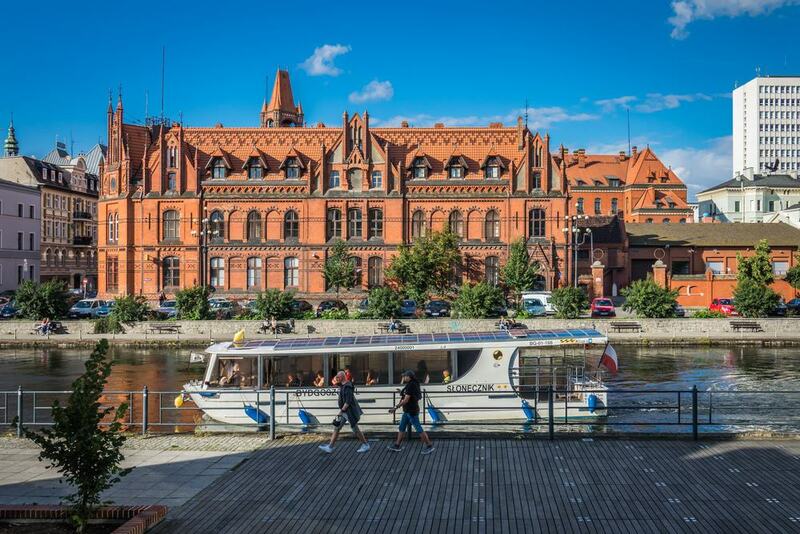 Mill Island is especially pretty from the water, and you’ll get a new perspective of other pieces of waterside architecture like the Opera Nova, Cathedral, the Granaries and the restored locks on the Bydgoszcz Canal.